Well, we're here, and I wanted to give you all some news. 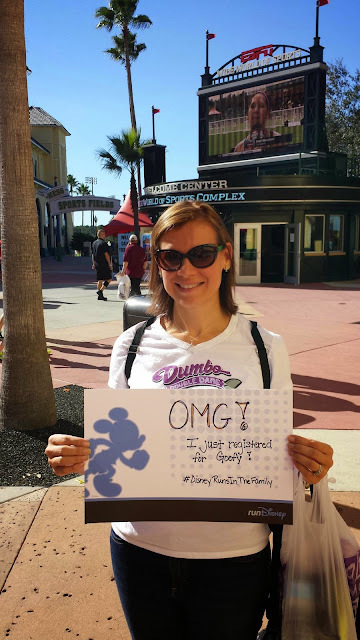 Sure, the expo was great, the food and wine festival is delicious, but you all know that. 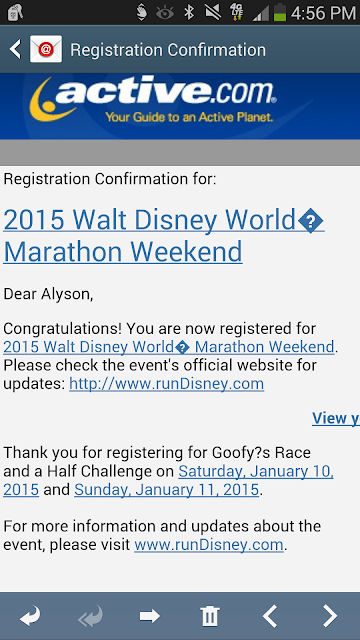 The big news is I registered for Goofy!!!!! I just couldn't resist the runDisney bag or that beautiful spinner medal! See you all in January. Who's coming??? 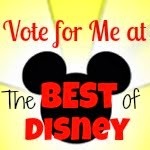 Now, I'm off to run, because I have 8 weeks to train for Goofy--what did I get myself into?!??!? !